YOU HAVE ONE CHANCE AT A FIRST IMPRESSION. MAKE IT COUNT. I develop websites that are beautiful, fast, secure, mobile-friendly, and SEO-ready. My professional web design services have been procured by a wide range of business types and industries, from cosmetic clinics to travel companies, from e-commerce businesses to restaurant websites. When creating your website, I pay attention to a consistent appearance and orient myself to the colors of your corporate design. My goal is to create high-quality and modern websites that set themselves apart from their competitors and lead to an increase in sales. I develop my websites exclusively with WordPress Content Management System. This will allow the website to be easily updated and expanded, for example to add new pages or add functionalities such as multiple languages. It is accessible and intuitive, which allows anyone to learn and adapt to it with relative ease. I specialize in SEO (see my own website as proof) and offer it to all of my website developments as part of my full-service approach. I’m able to provide onsite Search Engine Optimization from the very beginning, which is critical to a successful result. The web no longer just exists on the desktop. All my websites have an optimized responsive design, which ensures viewers get the best possible browsing experience either on desktop, tablet, or mobile. For optimal website performance improving the website loading time is important not only for visitors, but also for a good search engine ranking. WooCommerce is the most popular plugin for WordPress and brings with it the important functions necessary for a fully fledged online shop. The shop can be integrated into your website and get a matching shop layout. To secure a website and appear more favorable in Google’s eyes, an SSL Certificate should be considered a requirement. In some cases, as with online stores, an SSL Certificate actually is a requirement. In order for your website to be a success, I always think along with the website design and programming. My clients have many ideas, but not all make sense. If there are better solutions, then I will gladly inform you. With me you get a personal service that bigger agencies fail to provide. You will find that I am quick to react to questions and take deadlines seriously. I love my job and you will notice that when you work with me, I am only satisfied if you are too. Building a successful website all starts with listening. I listen to what you need and what you wish to accomplish with your website. Then we research and develop a plan together specifically designed to help you reach your goals. This plan will be translated into a contract which outlines exactly what is going to be on your website, the design and all other specific requirements. Because each website need is different, and the fact that I customize based on that need, pricing and timing all depends on your requirements you submit. For example, are you looking for a website with a few pages that discuss your business and services , or are you in need of a multilingual website with an E-Commerce solution? Website prices range quite a bit based on the size and complexity of the website. 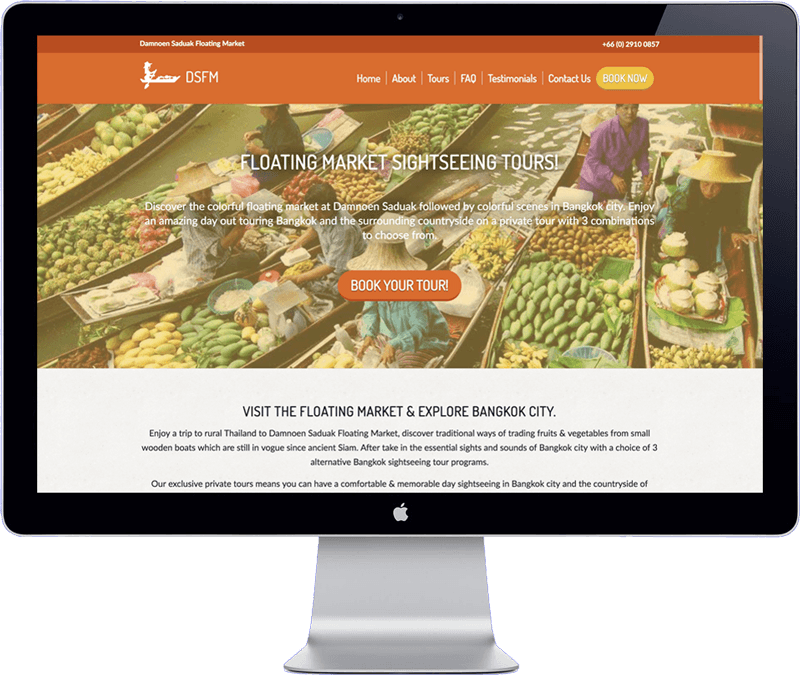 I have built websites ranging from 40.000THB – 400.000THB. It really depends on the website project requirements. It is important to reach out to me for a free consultation so I may learn more about your goals. Regardless of your budget, I am very confident I can help!